I’m sad to say I have done barely any cooking this week and think it unlikely to be doing much in the week or so; I’m afraid it may be rather quiet round here for a little while. 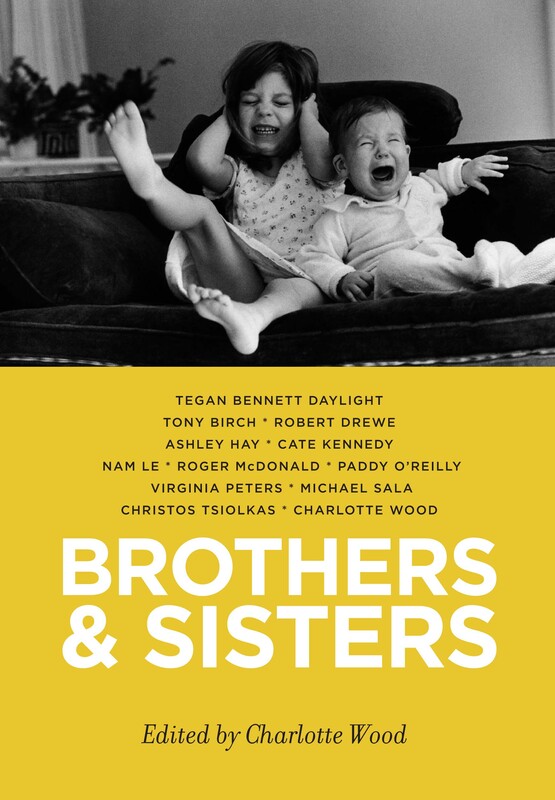 This week I have had the busies, with lots of promotion in progress for our new book Brothers & Sisters – preparing for the forthcoming panel at the Newtown Festival this Sunday, then the Sydney launch on Tuesday, another in the Blue Mountains on Thursday, plus the odd interview like this one here with Radio National’s The Book Show earlier this week. Yesterday the Empress, the Parsnip Princess and I went to see the Meryl movie, Julie & Julia. And loved it, as anticipated. That Julia Child was a woman of appetites, if this film is any kind of a biopic. We left the cinema drooling and wanting boned duck stuffed with pate and cooked in pastry for dinner. And the other thing we all seized upon was that despite eating their body weight in butter each day, smoking and drinking and generally having a high old time of it, Julia Child and her husband Paul lived to the ages of 91 and 92 respectively. Don’t you love those stats? The Empress declares this one more piece of evidence for her theory that home cooking (i.e. good home cooking, with fresh, varied, unprocessed food) is the key to a long and healthy life (hmm, I won’t mention my own parents and their early deaths despite lifelong home cooking here – except to remark that to my mind, their growing up in postwar England did not equate to being reared on good food!) . My last word on the Julie/Julia phenomenon is to point you to By Design – a terrific Radio National program my friend Mark Wakely produces, hosted by Alan Saunders – and the fact that years ago, long before Hollywood found Julie Powell, RN interviewed her about the blog that led to this whole hullabaloo. By Design just replayed the interview this month, and it’s great – she talks about the actual cooking, and how she went about working her way through Mastering the Art of French Cooking (and the strange fact of her having never eaten an egg until the age of 29!) Listen to the interview on By Design’s website here. I have been lusting after it for some time, and was going to try to wait till December to see what Father Christmas brought, but last weekend I fell off the restraint wagon (I know: me, giving in to instant gratification – who’d have thought?) and bought it – Stephanie Alexander’s Kitchen Garden Companion. I love this book. It’s a beautifully produced companion to the other big fat orange/stripey that we all have, but each ingredient section begins with a good two or three pages on how to grow it. Same great alphabetical structure for the book, plus ‘basics’ sections on how to build a no-dig garden, recipes for compost, fertiliser, natural pest control and so on, and then three or four pages of recipes for each ingredient. It’s a damn fine idea. And, because of the Stephanie Alexander Kitchen Garden Foundation and its work in all those school gardens, you know she knows what she’s talking about. As with the other cookery books, she writes in the same friendly, inclusive voice, encouraging beginners, urging you to experiment and make your own way. 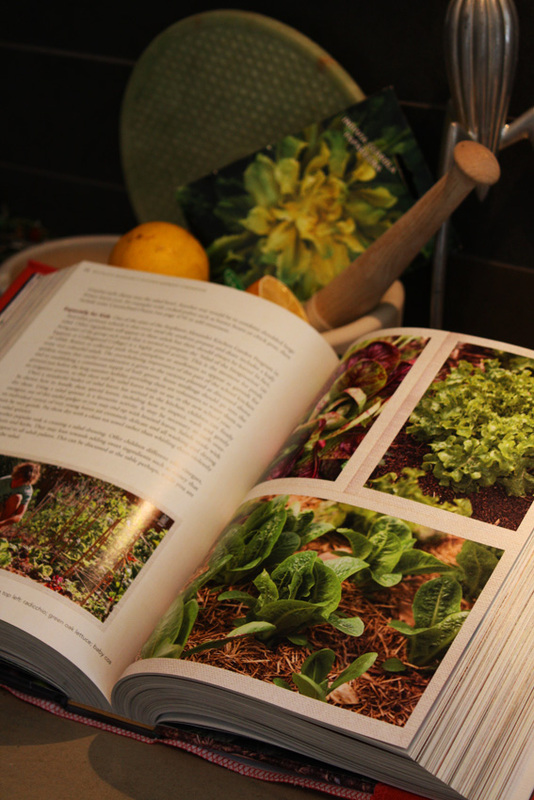 I have a few other garden books with bits on cooking, but if the garden advice is good, the food looks awful; and if the food advice is good, the gardening advice is patchy to say the least. Hence my joy at this purchase. 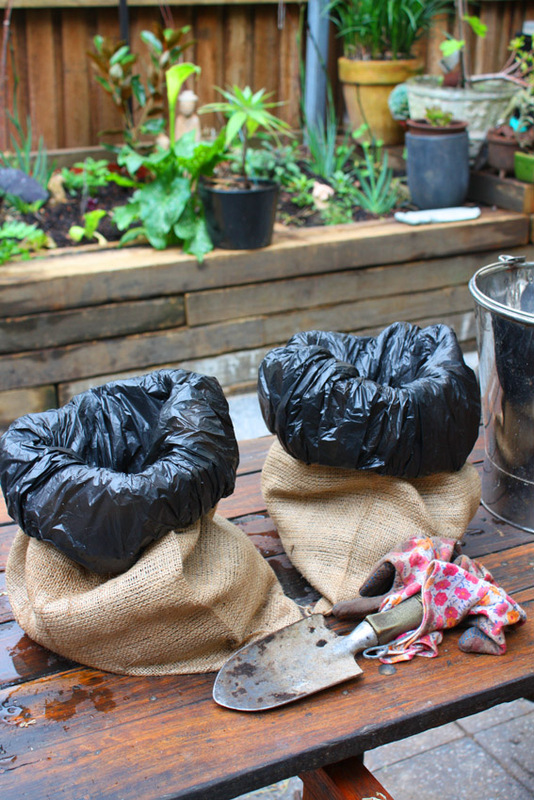 So, emboldened by Stephanie’s give-it-a-shot-even-if-you-have-no-idea-what-you’re-doing encouragement, and some solid advice from our Jamie over at Garden Amateur, I am going to have a crack at growing potatoes in sacks. No sunny space left in the garden beds, and not enough height anyway, so the potato-in-a-bag experiment begins. Got home, lined the hessian sacks with garbage bags, poked a heap of holes through them with a skewer, and bunged my potentially dud pontiacs in with some composty/strawish mix. We shall see how I fare, but I must say I quite like the weirdo aesthetics of my new mini potato farm … the idea, I understand, is that as the plants sprout you chuck in more straw & stuff and unroll a bit of bag, heaping the soil/straw etc up as the tubers grow, so you end up with a little high-rise apartment building for spuds. Okay, I’ve never done it before and it could all end in tears, and the sacks are rather slender, but thanks to Stephanie & Jamie, I’m having a burl, Shirl. If you want to join me, best read Jamie on the topic first. Oh and for those of you desperately wondering (ha) about my ailing herbs , they have survived! I got sick of waiting though, so bunged some much larger seedlings in the herb bed along with them, and now they’re all getting along happily, the ones grown from seed much smaller, but now quite healthy, while the biggies are already serving their purpose in the kitchen..
*A hardware shop digression you should feel free to skip: I love this place and want to give it a plug. The shop is the size of a postage stamp, but is a total Tardis inside, with stairs up and down and roundabout. The guys who work there are incredibly friendly and helpful. They are specially perfect hardware guys for women to consult: not ever once, in many many years of custom, have I ever detected the faintest vibe of condescension, boredom, peevishness at my dumb questions, chauvinism or perviness from any of their staff, which is more than I can say for any other hardware shop in Sydney, including the one across the road from it and all the gigantic hideous bunningses. And I have never ever walked out without the thing I needed. Today it was hessian sacks, which one of the charming blokes fetched while Senor consulted another who gave him some sage advice about some specialist outfitting of the Art Van Go vehicle. Okay. End of ad break. You are free to go. Despite my admiration for Christian Lander and his Stuff White People Like I somehow failed to see him at the Sydney Writers’ Festival, even when he was appearing at the New Theatre, about five blocks from my house. Luckily, that appearance is now available on Slow TV. It’s a two-parter; the first part is quite entertaining but largely about his astronomical 12-month rise to fame and the celebrities who now love him, which he’s very starry-eyed about so it gets a bit tedious. But the second half, which I’m linking to here, is sharp and funny, like the work itself. You are currently browsing the archives for the non-fiction category.